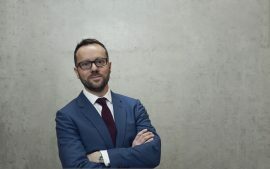 Digital wealth manager Nutmeg has said it plans to launch a crowdfunding round later in summer 2019 as it prepares for international launch. The UK wealthtech will work with Crowdcube to give eligible customers the opportunity to invest alongside existing institutional shareholders such as Convoy, Taipei Fubon Bank, Goldman Sachs and Balderton Capital. Crowdcube spearheaded record growth for the crowdfunding industry in 2018 with £224 million of investment pledged through its site and 198 businesses successfully funded. The investment raised from the crowdfund, in addition to the funding secured in its recently concluded Series E fundraise from Convoy and Goldman Sachs, will be used by Nutmeg to fuel innovation and growth in the UK and expansion overseas.